Srinagar, January 23: Leaving no stones unturned and fighting back to protect the nation, Indian Army has given a befitting reply by eliminating the terrorists. 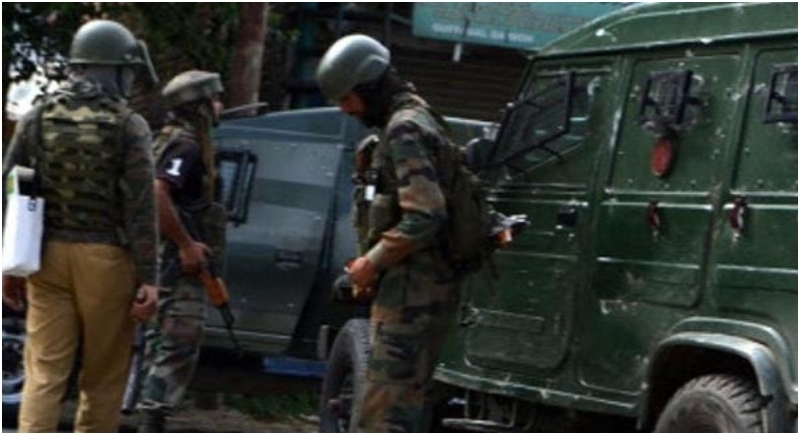 In a gunfight raged between terrorists and the joint team of security forces in Binner village in North Kashmir's Baramulla district late this afternoon, the security forces neutralized three terrorists. Security sources said that a joint team of army, J&K Police and CRPF launched a cordon-and-search operation on the basis of inputs about the presence of terrorists. The search operation turned into a gunbattle after terrorists opened fire on the security forces. Conducting a regular combing operation, the terrorist in the Shopian district slayed three terrorist on Tuesday. A top Hizbul Mujahideen commander was believed to be among the terrorists. Around 4-6 terrorists were believed to be holed up in Shopian's Zainapora area and security forces engaged them in a fierce gunbattle. It was not only this; the security forces on Wednesday uncovered an underground hideout at an orchard that was being used by the terrorists to hide in the Shopian district. This is the third such hideout to be busted by the security forces in the state in the last one and a half months. The hideout appeared to be fully equipped with ration items that could have helped the militants stay in the area for a long time, Times Now reported. The terrorists had dug a long ‘burrow-like’ cave in the orchard as their hideout, which was big enough to house four to five terrorists.